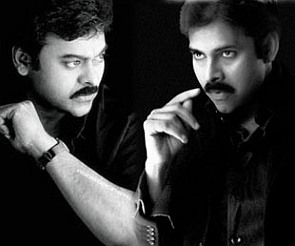 Union Minister and Congress leader K Chiranjeevi on Saturday disapproved of his actor-brother Pawan Kalyan, who has launched a new political party, meeting Bharatiya Janata Partu's Prime Ministerial candidate Narendra Modi. He also admitted the Congress was not in a good shape in Seemandhra after bifurcation of Andhra Pradesh. "It was wrong on the part of Pawan Kalyan to meet Modi who has not apologised for the post-Godhra incidents," he said at a ‘meet-the-press’ programme organised by Visakhapatnam Journalists Forum. Kalyan, a popular Telugu actor, who floated the Jana Sena Party last week, met Modi in Ahmedabad on Friday and declared his support to his candidature for the Prime Minister's post. The BJP and Jana Sena have also given indications about forming a poll alliance in Andhra Pradesh. Chiranjeevi rejected suggestions that his brother floated the party in view of differences in the family and because he merged his Praja Rajyam Party with the Congress. "There are no differences in the family. We are all happy. We are united. Mr Pawan Kalyan had not expressed his displeasure on merging the Praja Rajyam with the Congress." The actor-turned-minister, who heads the Congress campaign committee in residuary Andhra Pradesh, admitted his party was not in a good shape in the state after bifurcation. "There are some problems in the party in (Seemandhra) after the bifurcation. But we will sort out these and strengthen the party." Chiranjeevi, who had opposed the move to grant statehood to Telangana, however, defended the division of Andhra Pradesh and asserted that the Congress committed no mistake. "The Congress had not committed any mistake. All parties were equally responsible for the bifurcation. We will explain to the people the circumstances leading to the division. People have confidence in the Congress which will strive for development of all sections of the society," he added. It is unfortunate that leaders of erstwhile PRP were leaving the Congress and joining other parties, he said. The Union minister said he was a committed Congressman and though some parties wanted him to join hands with them, he rejected the offer. Some political parties, including the Telugu Desam Party and YSR Congress, earlier gave letters supporting the bifurcation of the state but later did a U-turn to gain political mileage, alleged Chiranjeevi, who merged his party with the Congress in 2011. Lok Sabha and Assembly polls in Andhra Pradesh. The yatra, which started on Friday, will tour all the 13 districts of Seemandhra before concluding on March 27. Asked about the Congress poll preparations in Seemandhra, Reddy said, "We will try to win all the 175 assembly and 25 Lok Sabha seats as the party had committed workers." Preference will be given to the youth, including members of the Youth Congress and NSUI, while finalising candidates, he said. The APCC chief accused Telugu Desam of encouraging defections from Congress as the Chandrababu Naidu-led party had been left without leaders of repute. He alleged that former CM N Kiran Kumar Reddy, who floated his own political party after quitting the Congress last month, was "misleading" people on the bifurcation issue. Kiran all along knew about the party leadership's decision to divide the state, he said. Union Ministers Panabaka Lakshmi, Killi Kruparani and J D Seelam, ex-state Ministers P Balaraju, Kondru Murali, Anam Ramanarayana Reddy and Rajya Sabha member T Subbarami Reddy attended the programme. Will 'Telugu Dabbang' be the BJP's superhit formula in Andhra? Will Pawan Kalyan alter political equations in Andhra?